When some plaintiffs file product liability lawsuits alleging harm from a defective hip implant, they make two arguments that are specious at best: first, that the hip implant device is defective the moment it fails; and second, causation can be established for a failure-to-warn claim by asserting that the plaintiff would not have agreed to go forward with the hip implant surgery if the doctor told them about the risk of failure. Neither argument holds water and a court in the Southern District of New York highlighted this fact. In Tomaselli v. Zimmer Inc., No. 14-CV-04474, 2017 U.S. Dist. LEXIS 9874 (S.D.N.Y. Jan. 20, 2017), the plaintiff underwent a hip replacement surgery. After the surgery, the plaintiff started to feel hip pain and her doctor discovered that a cable on the hip implant had broken. It is not clear whether the broken cable was the actual cause of the plaintiff’s pain since doctors determined that removing it would not have alleviated the discomfort. Furthermore, the plaintiff acknowledged that she was able to exercise and engage in daily activities and the pain was more of an annoyance than a life-altering, debilitating ache. The plaintiff still opted to sue alleging a failure to warn about the risks of the device malfunctioning and that the hip implant was defective because of the broken cable. The defense team for the hip implant manufacturer filed a motion for summary judgment and the magistrate recommended granting their motion on every claim. The court accurately determined that the hip implant device’s Instructions for use properly informed the plaintiff’s physician that there was a risk of cable loosening. This is important because the plaintiff alleged that she would not have consented to the surgery had [her doctor] advised her of the cable fracture risk. Such an argument is irrelevant because a product manufacturer does not owe a patient a duty to warn. The duty to warn extends to the physician, who then has a duty to warn the patient. Since the lawsuit only involved the manufacturer, the plaintiff’s failure to warn claim was meritless. Since the lawsuit was filed in New York, that state’s law applied. Under New York law, plaintiffs must prove that a product, as designed, feasibly could have been designed more safely and they have to prove it through expert evidence. The plaintiff in Tomaselli failed to meet this legal requirement and did not offer compelling evidence to support her claim. 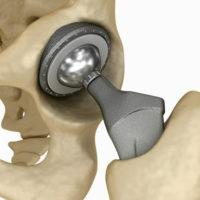 In contrast, the defendants offered expert opinion that there was no clinical evidence of defect in the hip implant device or that the alleged defect was the cause of the hip device cable fracture, to the exclusion of other factors (e.g., improper installation during surgery, activities by the plaintiff after the device was installed, etc.). The facts, and outcome, in Tomaselli is a prime example of how product liability claims can be defeated with an aggressive defense. Medical device manufacturers are often the target of litigation in state and federal courts. The Brownsville defective medical device claims attorneys at Colvin, Chaney, Saenz & Rodriguez, L.L.P. are here to help and stand up for your corporation. Our team of experienced Brownsville attorneys apply their trial skills to the complex litigation of claims involving medical devices and work tirelessly to achieve a positive outcome for their clients.